hormones are typically characterized by a carbonyl group or hydroxyl group at C11 of the steroid skeleton. What does C11 mean in chemistry? C11 indicated the location of the carbon on the skeleton. 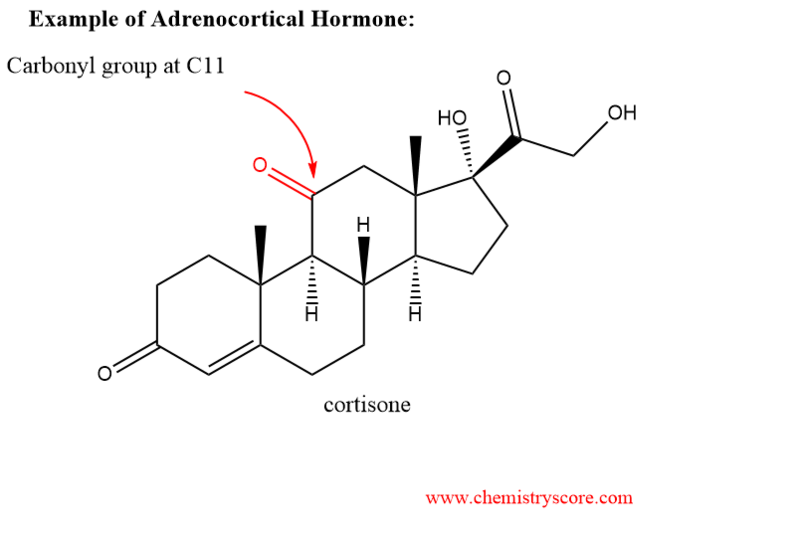 In the example above, an adrenocortical hormone is a structure that exhibits a carbonyl group or hydroxyl group at carbon #11 (it may be useful to label each carbon on the molecule for better understanding).